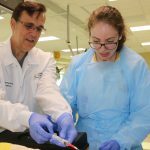 Sophomore nursing student Desiree dos Anjos, was cautious but sure-handed as she inserted a tracheal tube into her patient’s throat. 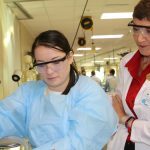 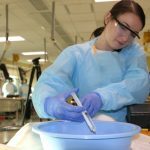 She had read about the procedure in textbooks and watched it done numerous times on video, but this was her first hands-on experience. 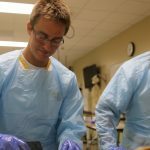 Her “patient” was a cadaver, a person who had donated their body to help train medical students, and her “clinic” was the UCF College of Medicine’s Anatomy Lab. 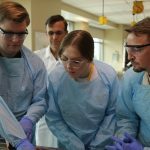 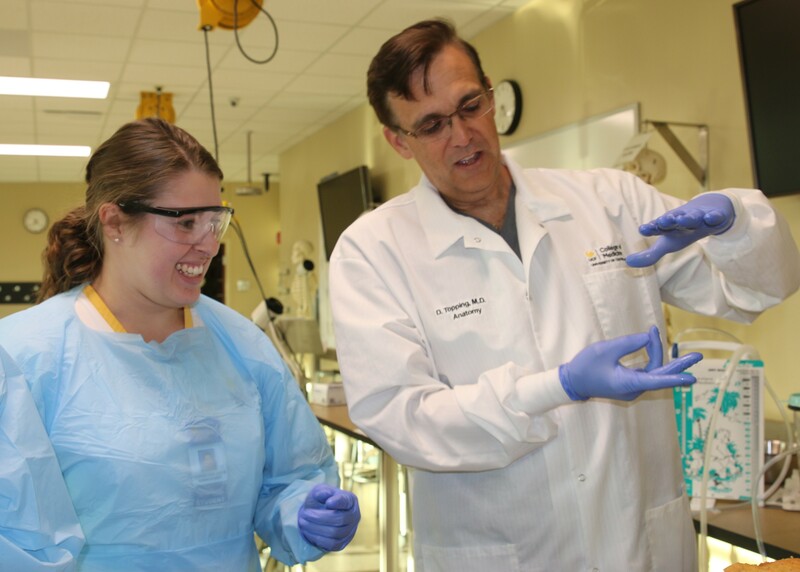 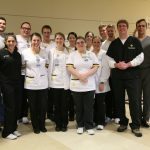 Dos Anjos was one of 10 UCF College of Nursing students who trained in the lab with thanks to medical students who organized a one-day workshop Nov. 28. 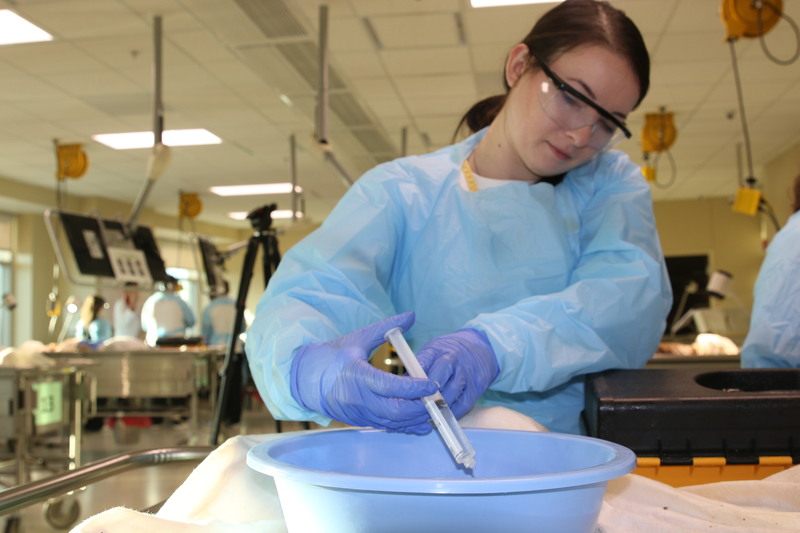 “It’s been absolutely phenomenal,” dos Anjos said of her first experience learning from real humans. 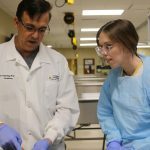 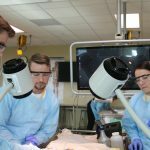 The workshop was the brainchild of former critical-care-nurse-turned-UCF-medical student Will Pruitt. 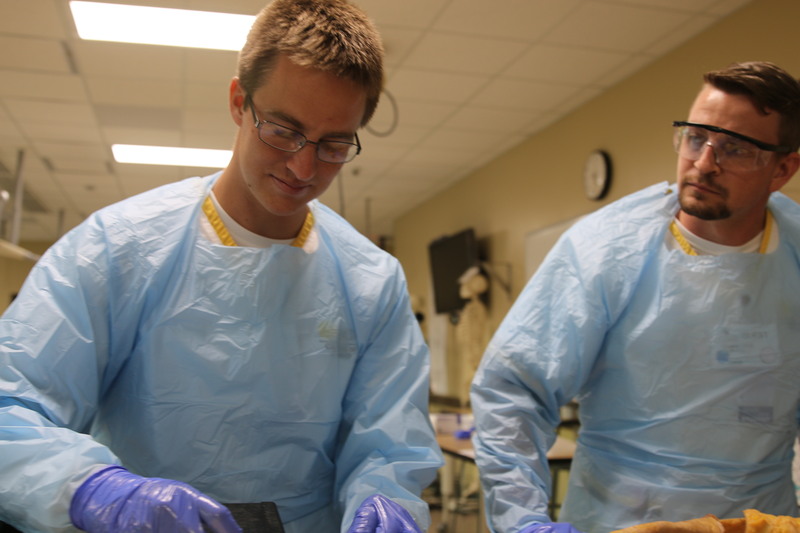 After getting trained in the Anatomy Lab during his first year of medical school, Pruitt realized how valuable such a learning experience would have been during his nursing education. 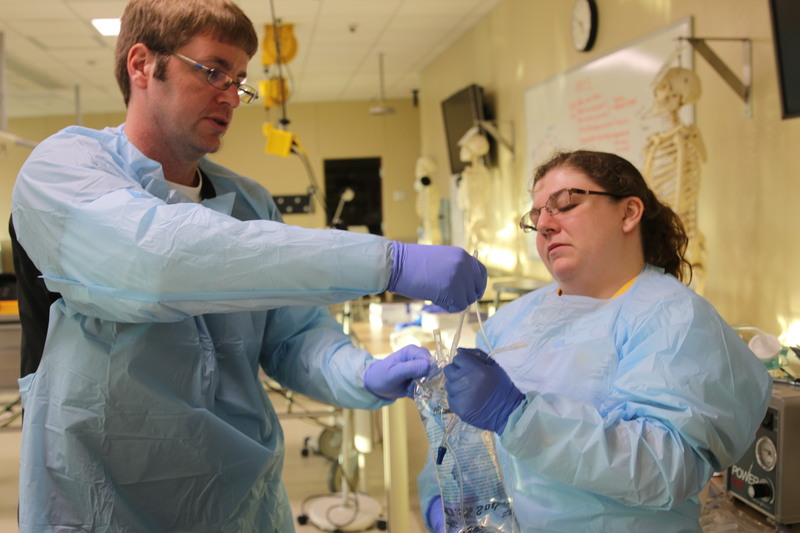 Only a handful of nursing schools utilize cadavers for their students’ learning. 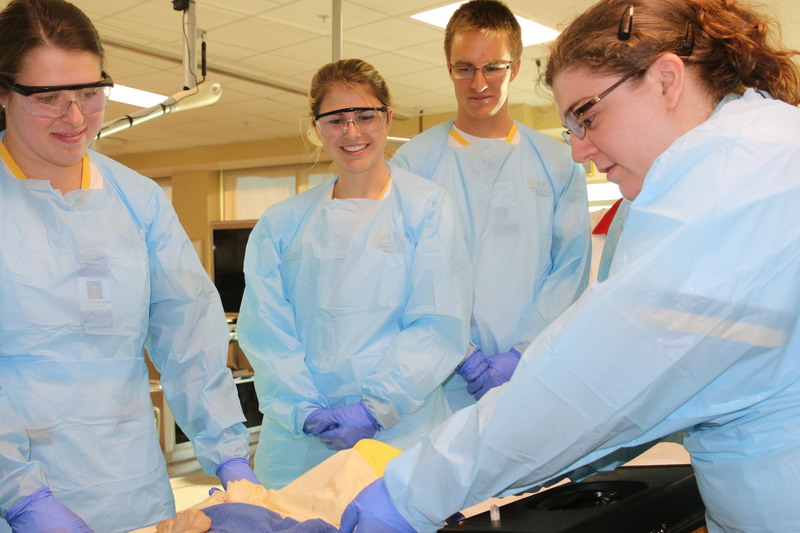 While the College of Nursing employs advanced simulation technologies, such as high-fidelity mannequins and virtual or screen-based patients, as well as clinical experience with real patients, cadaver-based learning experiences are not yet part of the curriculum. 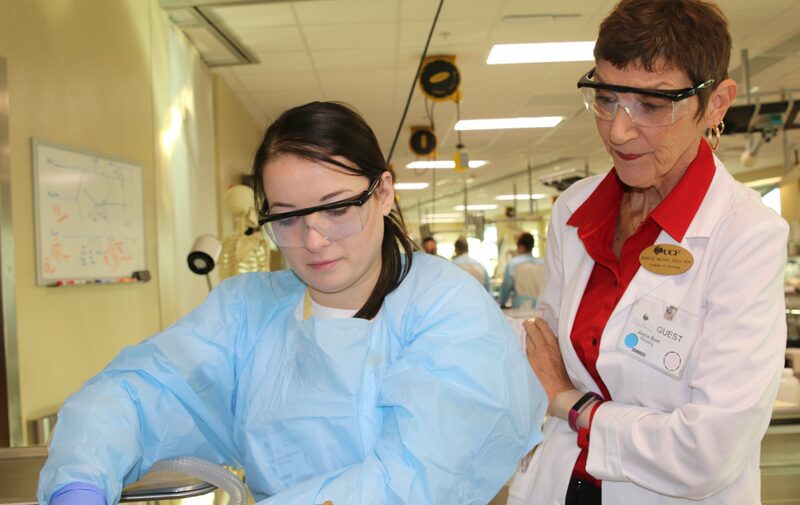 “The most exciting thing for me as an educator was the absolute total engagement and enthusiasm of both the nursing and medical students during this teaching and learning experience,” said Dr. Joyce Burr, associate lecturer at the College of Nursing who helped coordinate the event. 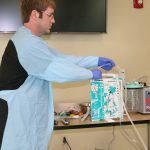 Pruitt worked with three other medical students and Dr. Daniel Topping, the Anatomy Lab’s director, to design a workshop curriculum that allowed nurses to see and touch core parts of the anatomy and common pathologies and review common clinical scenarios like hernias and lung damage while peering into the human body. 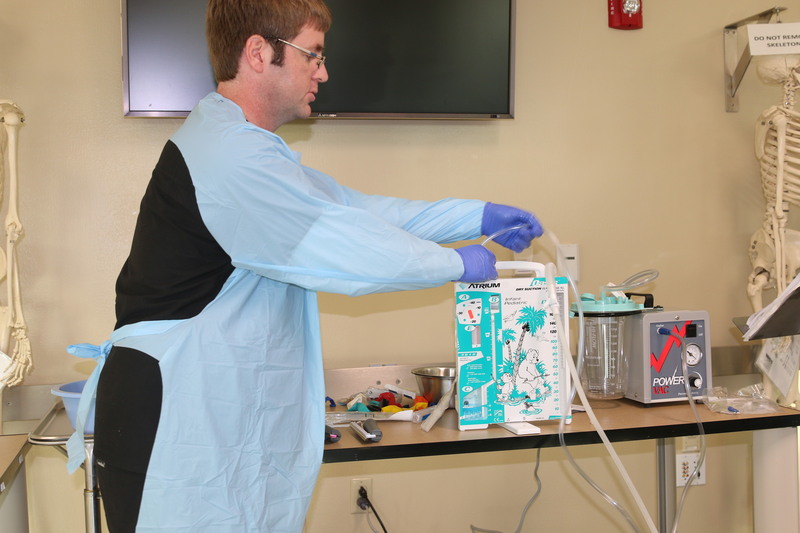 The nurses also flushed central lines, inserted tracheal tubes and used manual resuscitators to inflate balloons as simulated lungs with medical devices donated by the Osceola Regional Medical Center. 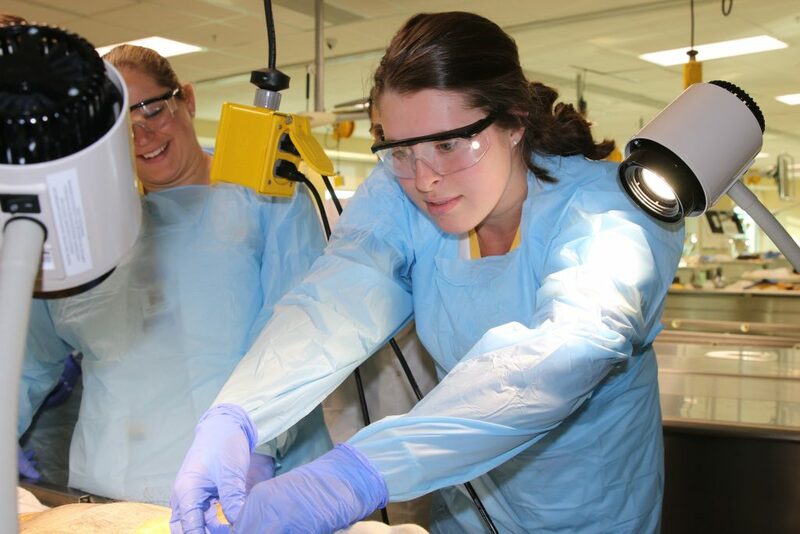 Before studying in the lab, nursing students watched a videotape about the experience and the impact of their patient’s gift to medical education. 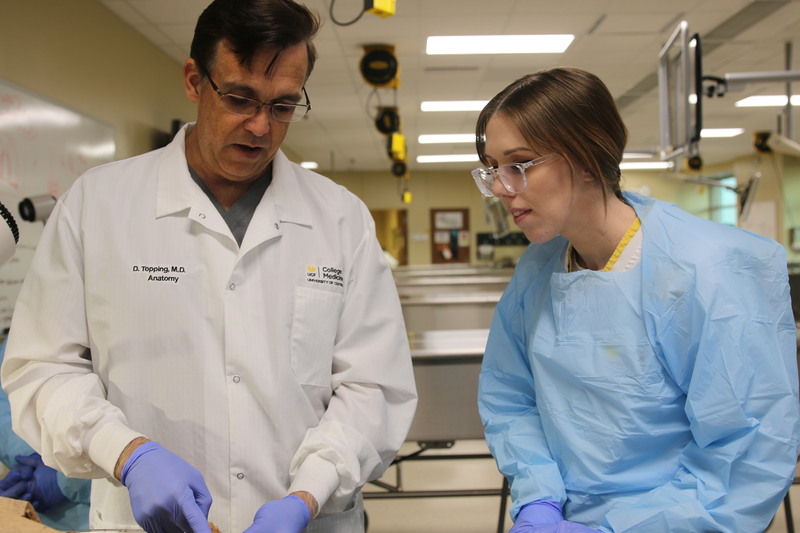 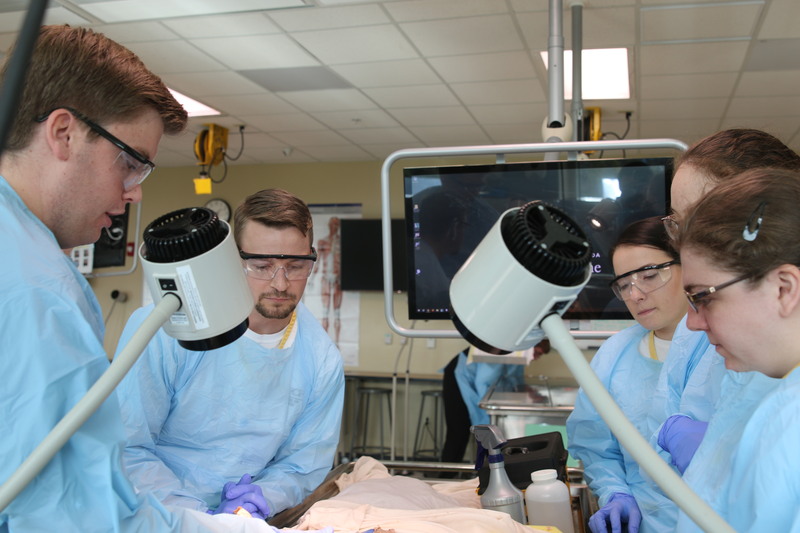 At UCF’s medical school, cadavers are considered the student’s first patient. 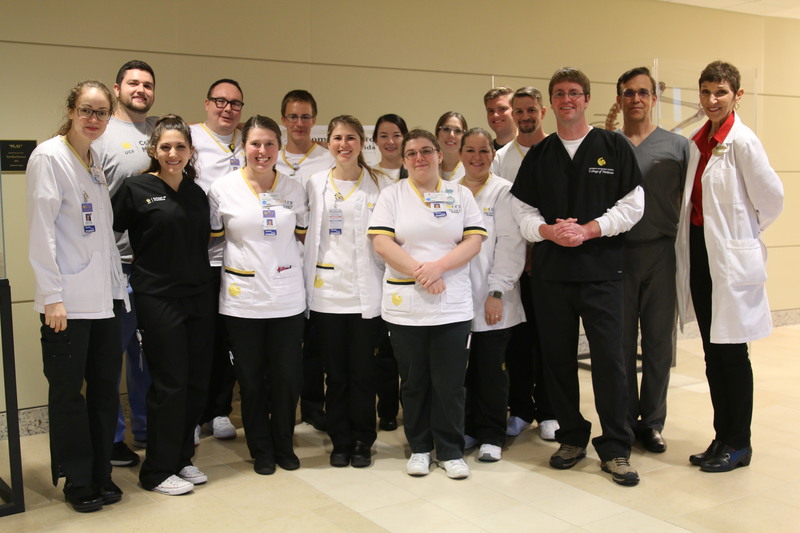 Medical students talked to their nursing colleagues about honoring and respecting the person’s gift to their training. 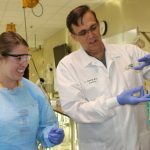 Pruitt will be analyzing the impact of the experience in a research study, and hopes his results will help make the program a staple for UCF nursing students. 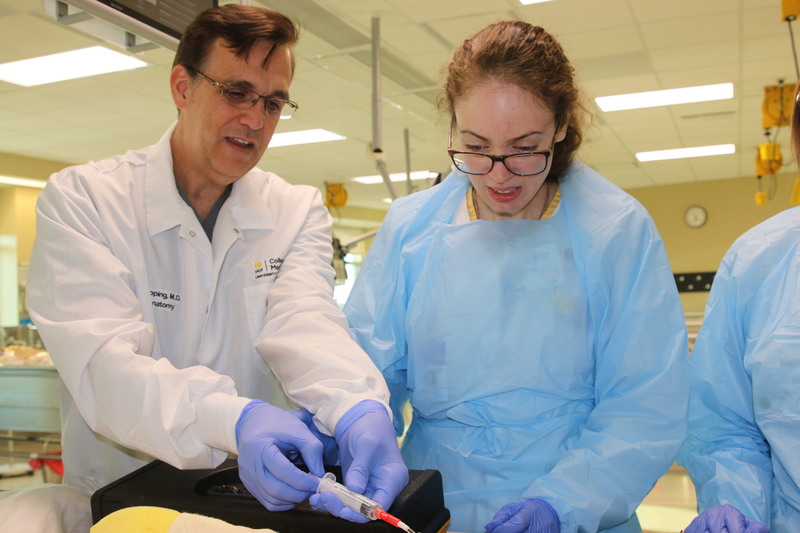 With the development of UCF’s new Academic Health Science Center, which will ultimately bring many UCF health programs to Lake Nona and encourage more interprofessional education, research and patient care, Dr. 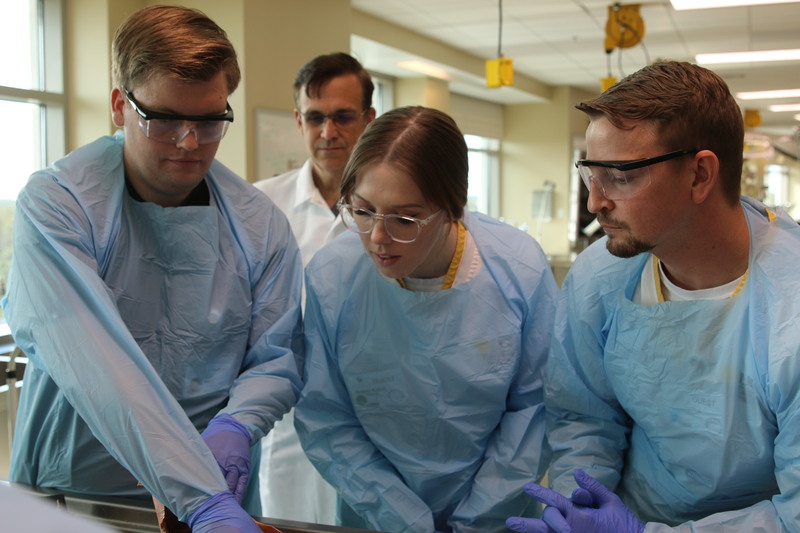 Topping said the Anatomy Lab workshop can be a model for future collaborations between healthcare disciplines. 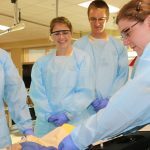 “Anatomy is fundamental to any discipline involved in direct care of patients, whether nursing, speech therapy, or pharmacology. 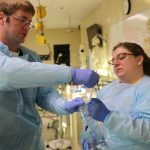 And we have such a wonderful facility and resources here, which makes perfect sense for us to collaborate and begin partnerships,” he said.